The Fiji Broadcasting Corporation (FBC) has clarified that the FBC’s audited reports for 2010-2015 covered budgeted losses. FBC Chief Executive Officer Riyaz Sayed-Khaiyum said since the report was tabled in Parliament last week, the FBC accounts had been a hot topic in the media industry and social media. “The losses seem to be the talk of town. People have to realise that they were budgeted losses,” Mr Sayed-Khaiyum said. “They were losses that we were expecting, the reason is we had taken out a $22m loan to rejuvenate FBC,” Mr Sayed-Khaiyum said. Mr Sayed-Khaiyum said FBC was going to close within a year and half if they were not going to do anything. “We were more off air than on air, our service was terrible we were running radio transmission throughout the islands on car stereos,” he said. He said they came up with a plan and Government’s only form of support was to guarantee FBC a loan. Mr Sayed-Khaiyum said they borrowed from the Fiji Development Bank (FDB) at 12 per cent interest rate and they continued to pay the same amount without any default. “We are a success story. When you start a business from scratch and nothing’s going for yourself and take a huge loan, you will budget for losses for a number of years and everyone knows that,” he said. 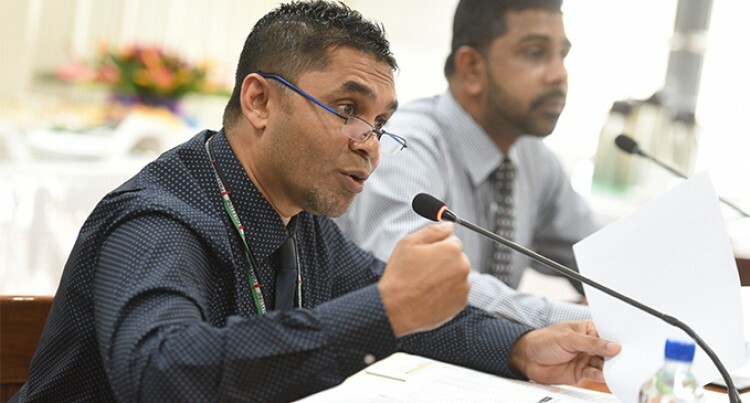 Mr Sayed-Khaiyum said that whoever or whatever elements were spreading rumours that FBC was not doing well was because of what had been stated as losses between 2010- 2015. He said such people were either deliberately misleading people or they didn’t understand the basics of business fundamentals. He said it was election year and some people would mislead others for political mileage. Meanwhile, Mr Sayed-Khaiyum said their audited report for 2016 were already signed off and would be with the Ministry for Public Enterprise and they were waiting for the board to sign off the 2017 report and this would be handed to the ministry. He said their financial year from 2016 and beyond would not be recording losses, but more profits.